When NASA announced plans for the first-ever all-female spacewalk earlier this month, most who heard about it were excited, especially because of International Women’s Day. At the time, it was supposed to mark the importance of women’s presence in space, given that the vast majority of astronauts are men. However, NASA has now canceled its all-female spacewalk. The all-female spacewalk was scheduled for March 29, but there aren’t enough spacesuits in the correct sizes available. According to NASA’s press release, Friday’s spacewalk will be performed by a man and a woman instead. The two women who were expecting to make history a few days from now are NASA astronauts Anne McClain and Christina Koch, who are part of Expedition 59. 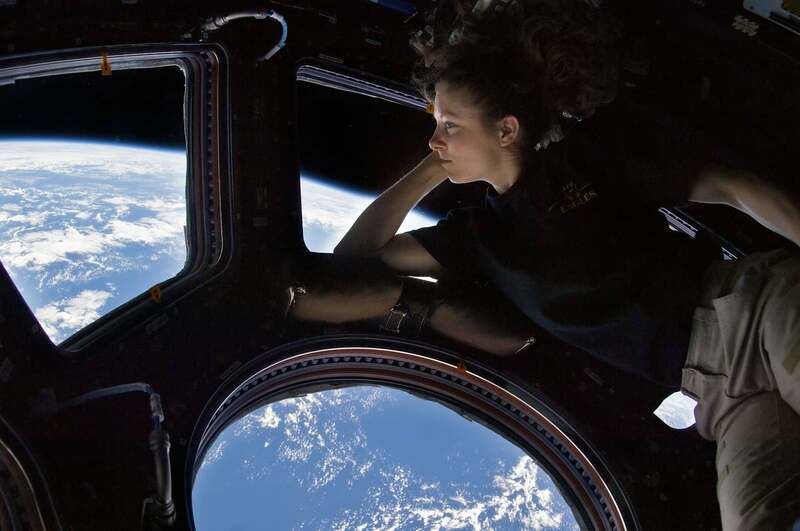 Kristen Facciol from the Canadian Space Agency would have provided support for the mission from Earth at NASA’s Johnson Space Center in Houston. NASA’s mission managers decided to make the switch until the spacewalking equipment for both women is ready. For now, Koch and fellow NASA astronaut Nick Hague will work together on the mission. Hague and McClain completed the first spacewalk out of three on March 22. Their mission was to begin installing lithium-ion batteries designed to store energy from solar arrays on the International Space Station, according to the press release. That was McClain’s first spacewalk, and at that time, she found that the “shirt” of the spacesuit that fit her best was a medium size. However, there’s only one medium-sized hard upper torso aboard the ISS, which means there isn’t enough equipment to support an all-female spacewalk on Friday. Friday’s assignment will be Koch’s first spacewalk, in which she and Hague will complete the battery installation. McClain’s next spacewalk is set for April 8, which will be the third in the series. During that spacewalk, she will be accompanied by astronaut David Saint-Jacques from the Canadian Space Agency. However, the battery installation is expected to be finished after Friday’s spacewalk is complete. Spacewalks, which are also professionally known as extravehicular activities (EVAs), can be exhausting assignments because astronauts are not only exposed to the never-ending vacuum of outer space but also work on assignments for five to eight hours straight. Spacewalks are normally performed so astronauts can conduct repairs or experiments outside the space station. Each of the upcoming spacewalks will last roughly six and a half hours. Both spacewalks will be broadcast on NASA TV, with coverage beginning at 6:30 a.m. Eastern. The March 29 spacewalk will start at 8:20 a.m., while the April 8 spacewalk will start at 8:05 a.m.